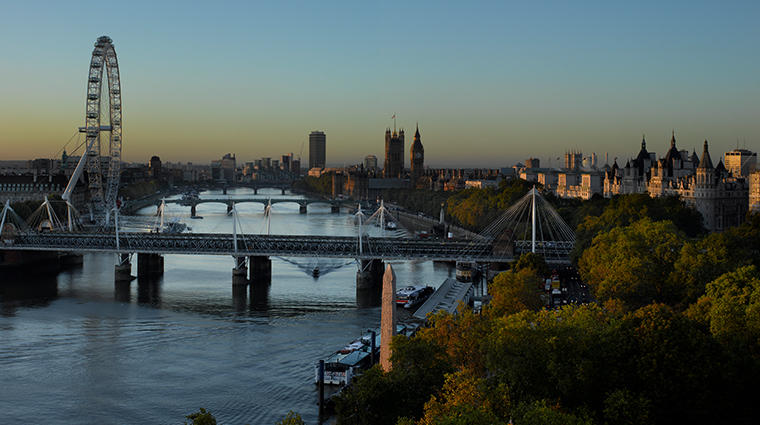 Often called “London’s most famous hotel,” The Savoy holds a special place in the heart of this great European city. 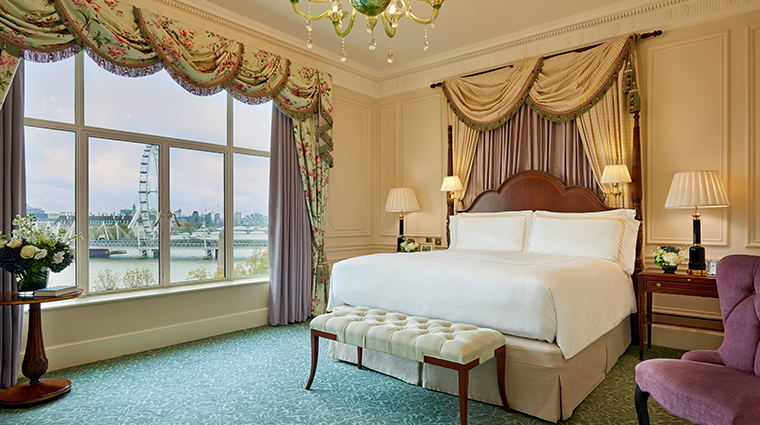 Opened in 1889 as the first truly high-end hotel in Britain, The Savoy has been at the forefront of decadence ever since, having introduced a series of mod cons ranging from electric lighting to hot running water, en suite bathrooms to air-conditioning. 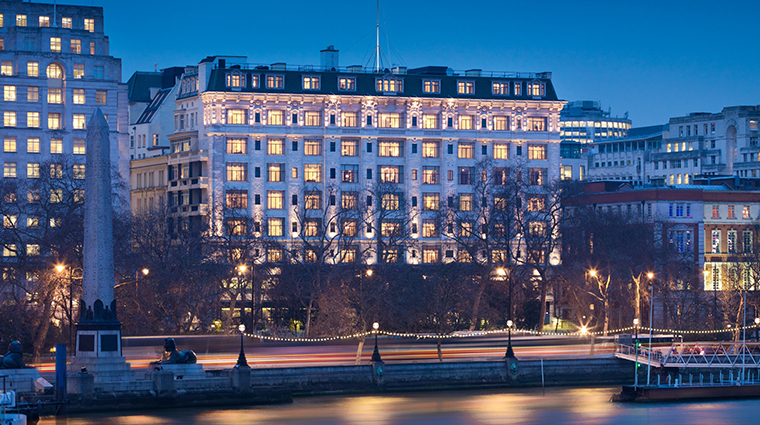 Today, the hotel retains its ability to keep pace with modern luxury while retaining the old-fashioned prestige and opulence that has seen figures such as Sir Winston Churchill, Frank Sinatra, Katharine Hepburn and Christian Dior pass through its famous revolving doors. The Savoy Museum is a unique offering that is definitely worth your time. Its old postcards, busts and other paraphernalia document the storied hotel’s glamorous history in London. The boutique Savoy Tea Shop inside the London hotel includes an onsite chocolatier and such goodies as lavender éclairs and raspberry and wine macarons. The American Bar has been called the best in the world, and is worth a visit for one of its classic signature cocktails or tribute Champagne cocktails. Live piano music follows guests throughout the hotel, from the Thames Foyer in the afternoon to the American Bar in the evening. 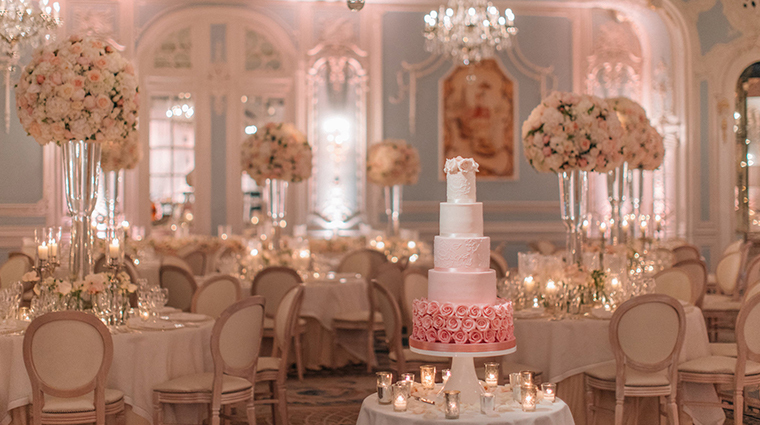 Guests who have graced The Savoy’s corridors include Queen Elizabeth, Claude Monet, Charlie Chaplin, Fred Astaire, Audrey Hepburn, Babe Ruth and Bob Dylan, who filmed one of his music videos behind the hotel. The London hotel gets a little hectic in the afternoon as the crowds pack in for back-to-back afternoon tea sittings. Half of its rooms are in the Edwardian style inspired by the era of the hotel’s openings, while half are in the art deco style that was present during the height of its popularity in the 20th century. To clinch its singularity among other hotels, the London hotel sits at the end of the only street in the city where vehicles drive on the right. 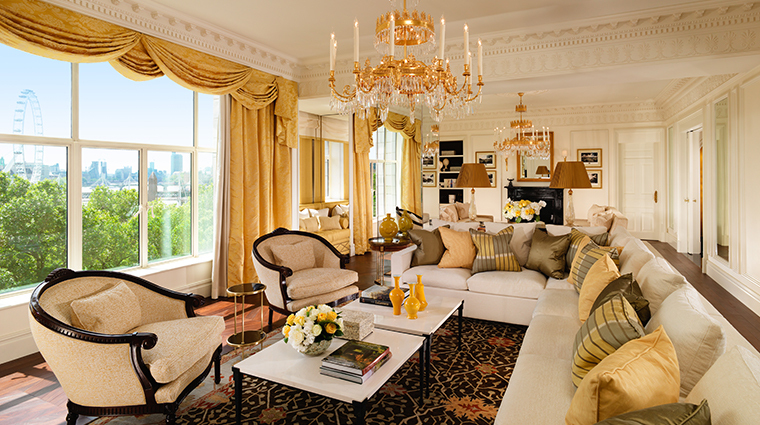 No two bedrooms in The Savoy are the same though all hotel room interiors are designed in either traditional English Edwardian or elegant Art Deco style. 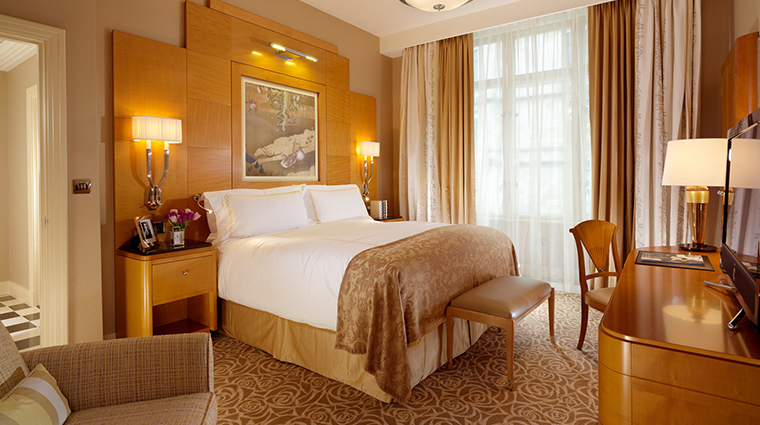 The regular Savoy Rooms include queen-size beds, writing desks, flat-screen TVs, MP3 players and bespoke furnishings. Nine higher-end Personality Suites have been inspired by famous guests from the hotel’s rich history — from Noël Coward to Marlene Dietrich — and come complete with their own Savoy Butlers. 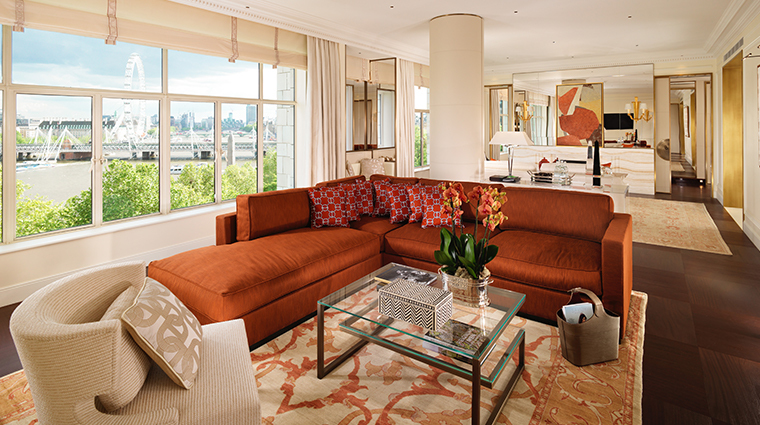 The moderately sized bathrooms in the rooms at The Savoy are clad in luxurious white and brown marble and offer deep-soaking tubs, rain showers and heated towel racks. 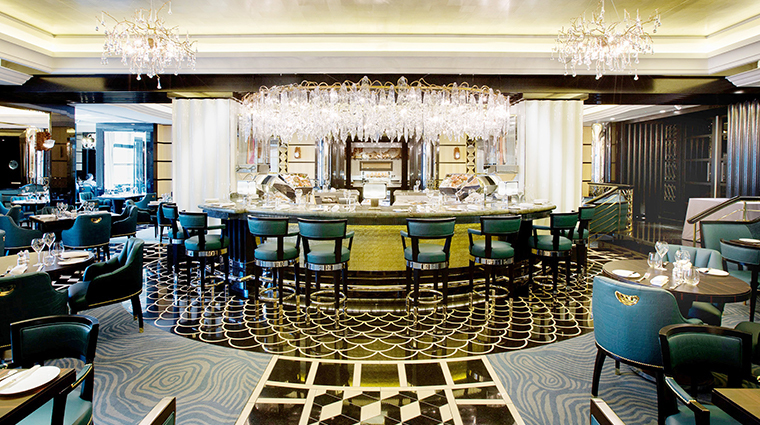 The luxury hotel’s signature restaurant is the Savoy Grill, a legendary eatery by Gordon Ramsey serving up traditional British fare in the original 1920s Art Deco dining room. 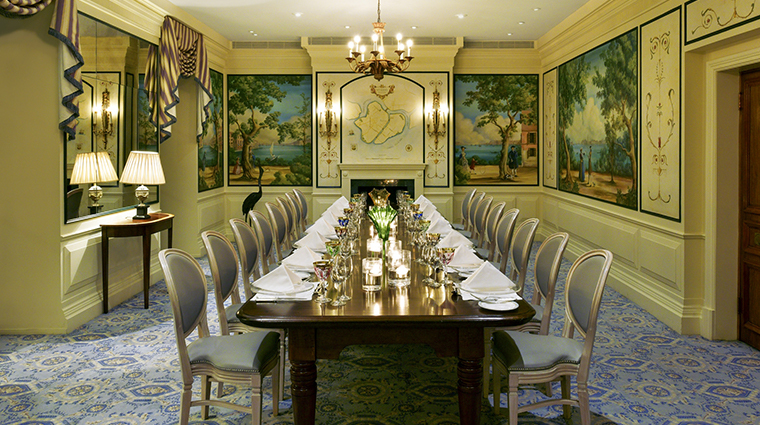 Dine informally in Kaspar’s at The Savoy, where an imaginative ever-changing menu of sustainable, fresh fare is on offer from morning until night. Try the beef bourguignon with mashed potatoes or the Hereford rib-eye. Simpson's in the Strand has been serving the very best of British cooking for more than 170 years. Menu highlights include chicken breast with lemon verbena, pan fried sea trout with Scottish mussels and the roaming carving trolley for fresh roasted meats. 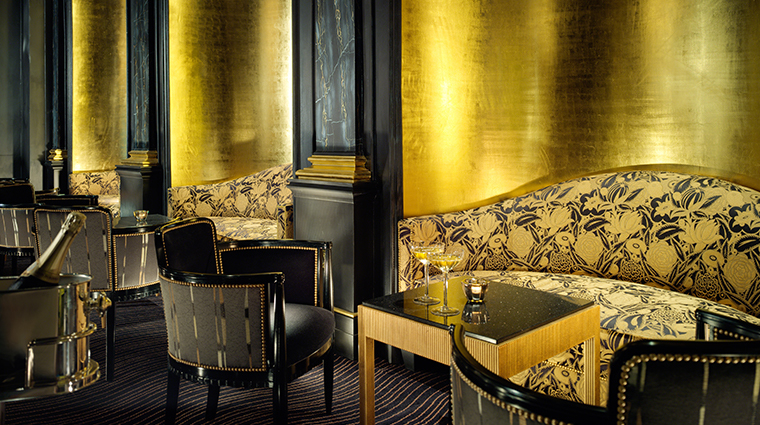 For a great drink, be sure to head to Beaufort Bar for champagne or turn to American Bar, which harks back to the Golden Age of Cocktails in the 1920s.